"To plant a garden is to believe in tomorrow". With our second collection ''To plant a garden is to believe in tomorrow'' we have designed and created a collection with the ''everyday saviors'' in a sustainable way where the impact on our environment is as low as possible. Our second collection is inspired by Audrey Hepburn’s famous quote ’’To plant a garden is to believe in tomorrow’’. The beauty of gardening is to plant a seed, care for it and by time, slowly, watching it grow. We were inspired by the slow process of gardening, that connect us with nature. The beauty in the colors of a flower throughout its life. From seed to flower. Till the blooming ends and the leaves return back to the soil. The nostalgic feeling of gardening which gives the plants and flowers a romantic touch and brings us back to our childhood. Our 17.1 collection is based on timeless styles with nostalgic, desaturated colors and feminine, Scandinavian details. The ’’everyday saviors’’ as we call them, as they each will make a woman feel comfortable and look great which is our mission when we design our collections. The quote of Audrey Hepburn also refers to the value of believing in our future. 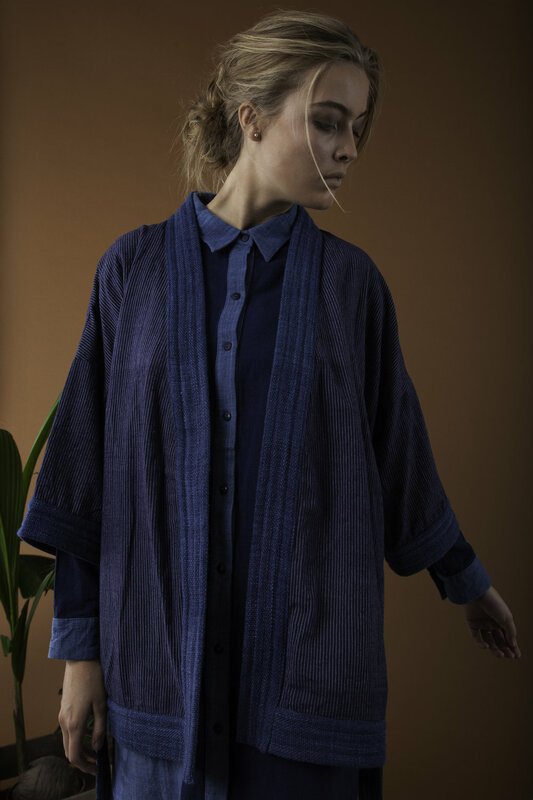 With a collection based on sustainable styles, some certified organic, some created by hand, our belief and effort towards a greener future is our far most important task in the world of Gritt and Borris. We hope you will find our 17.1 collection as contemporary nostalgic as we do, and help us make a difference, in the fashion industry, and a greener future for us all.